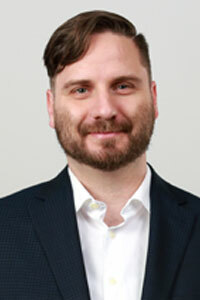 S. Scott Graham is an assistant professor in the Department of Rhetoric & Writing at the University of Texas at Austin. He is also the developer and curator of conflictmetrics.com, a biomedical research funding visualization initiative. Primarily, his research is devoted to better understanding how experts and public stakeholders communicate about risk and uncertainty as part of science-policy decision-making. His book, The Politics of Pain Medicine, was published with the University of Chicago Press in 2015. Additionally, his scholarship can be found in a variety of journals including Technical Communication Quarterly, Rhetoric Society Quarterly, Rhetoric of Health and Medicine, Journal of Medical Humanities, Qualitative Health Research, and the Annals of Internal Medicine. For more information, visit his website at sscottgraham.com. Did you know that Outkast and Wu-Tang Clan use a larger vocabulary in their lyrics than Shakespeare did in his plays? It's true. How do we know this? Because someone actually measured the number of unique words used by different hip hop artists and compared those figures to Shakespearean plays. Hip hop vocabulary is, of course, not the only rhetoric we can measure. Recent studies of Facebook disinformation campaigns and their effects on polarizing the US electorate have found that the actual content overwhelmingly involved feel-good, positive messaging. Most people assumed it was negative, because it was polarizing. But when you actually measure the emotional content of the posts, it turns out that's not true. Do you know that who used the most sophisticated language of any of the candidates in the 2016 presidential campaign? Apparently, it was Ted Cruz. Is that what you would have guessed? Much of our popular understanding of rhetoric, language, and persuasion is based on instinct and intuition. Rhetorical training offers one very good way of honing that intuition to make it better and more sophisticated. Nevertheless, even the best instincts and intuitions can lead us astray, and sometimes you need to check the numbers behind your ideas about rhetoric in the world. Accordingly, this edition of RHE 330C will provide students with hands-on experience measuring language according to different theories and approaches. This means figuring out what to measure, how to measure it, and then actually measuring it. But, how do you measure the entire collected works of the Wu-Tang Clan and compare it to Shakespeare? Ain't nobody got time for that. You're going to need some help. You're going to need something that can read a whole lot faster than you can. So, in this course, students will teach computers to read. In so doing, students will explore how to use, create, and analyze computational technologies that assess 1) the complexity and difficulty of persuasive texts, 2) the emotional content of bodies of discourse, and 3) the content itself of persuasive language. No prior experience is required to complete this course. While the tradition of political satire dates back to the earliest days of Western democracy, it may have reached a new height in recent years. Following in the footsteps of Saturday Night Live's Weekend Update and decades of politically-oriented stand-up comedy, The Daily Show catalyzed a satirical explosion. Recently, we have seen a proliferation of new shows and evolving genres exemplified by The Colbert Report, The Nightly Show, Last Week Tonight, Full Frontal, The Jim Jefferies Show, I Love You, America and many more. Political comedy is now so central to our popular media landscape that its audiences are evaluated alongside mainstream news viewers for their knowledge of the issues of the day. Fascinating and surprisingly, people who watch only The Daily Show turn out to be more informed than those who exclusively watch the news networks the show satirizes. Additionally, the rhetoric of political comedy is having a powerful effect on contemporary public discussions. High profile performances like Stephen Colbert's, Keegan-Michael Key's, and Michelle Wolfe's presentations at various Whitehouse Correspondents' Dinners made national news and most recently resulted in the cancellation of the comedy portion of the evening. This edition of 330E is devoted to making sense of political comedy as a rhetorical phenomenon. Students will engage questions like 1) What led to the recent enthusiasm for political comedy? 2) How do the ideas of political comedy circulate through and impact our national discourse? 3) What is the relationship between contemporary political comedy and historic satirical genres? Additional selected readings to be provided by Canvas. Rhetorics of the digital are increasingly pervasive in western cultures. From technologies of scientific discovery and the logics of medical normalization to NSA surveillance and social media filter bubbles, digitality frequently takes center stage. As a result, there has been a great deal of rhetorical and cultural theory devoted to exploring, critiquing, and developing pedagogy that accounts for the role of digitality in a variety of spheres from western cultures writ large to localized practices of scientific inquiry or writing pedagogy. Even more recently, new intellectual efforts under the rubrics of new materialisms and digital humanities have begun to push rhetoricians to take digital infrastructures more seriously both as objects of inquiry and methodological resources. Correspondingly, the Spring 2019 edition of E 388M is devoted to exploring central figures and concepts in rhetoric and digital cultures. Our exploration thereof will focus on five major thematics: 1) knowing with numbers, 2) counting to control, 3) digital deliberation, 4) re-tooling rhetoric, and 4) computers and composition. Learn Tech Comm. Save the world. Urban food deserts, opioid abuse, chronic drought, obesity epidemics, global climate change—the stuff of everyday headlines. We are increasingly confronted with vastly complex problems that offer no easy solution. These "wicked problems," as they have become known, are so difficult to address that they require the coordinated efforts of scientists, politicians, community leaders, and industry partners. However, bringing such a diverse array of people together to tackle a specific problem is no easy task. Success will require "the formation of new professional roles: translators, mediators, facilitators of debates and negotiations, and political organizers" (Callon, Lascoumes, and Barthe). Subsequently, the Spring 2019 edition of RHE 328 is devoted to preparing aspiring technical communicators for these new professional roles. Specific course units will focus on: 1) the nature of wicked problems and the roles for technical communicators, 2) practical approaches to translating scientific and technical information for diverse audiences, 3) effective strategies for engaging public audiences around wicked problems, and 4) best practices for facilitating productive stakeholder dialogue. Did you know that technical writers will be our first line of defense in the apocalypse? It’s true! No matter the science fiction dystopia you imagine, effective communication of technical information, emerging hazards, and where to find safety will be a critical aspect of emergency response. Whether it's a zombie virus outbreak, robot uprising, or environmental collapse, emergency messaging in the form of informational fliers, advisory websites, and social media campaigns will be an essential part of saving lives. Subsequently, the Fall 2018 edition of RHE 328 is devoted to preparing aspiring technical writers for their important role in the coming apocalypse. Students in this class will explore core concepts in technical writing, especially as relates to best practices in risk communication. Specific course units will focus on: 1) genre and media studies in technical writing, 2) information design and usability, 3) organizational issues for technical writers, and 4) socio-cultural concerns around emerging science and technology. Using these concepts and theoretical approaches as a guide, students will practice emergency communication in a variety of genres while responding to a range of apocalyptic scenarios drawn from contemporary media. Although this course will include assignments involving writing for digital environments and video production, no prior experience with specific technologies is required.